Evolutionary pressure has helped fuel the implementation of new technology solutions on the job site. While the construction industry has been slow to change, contractors are now under pressure to address chronic problems, such as finishing jobs late and over-budget. “The pressure to act is rising,” according to McKinsey. “Demand is soaring. The scale of players and projects is increasing, making a more productive system more viable.” Meanwhile, the price of technology continues to fall, making solutions that can dramatically improve productivity much more accessible. This is leading to a spike in tech adoption as builders race to implement solutions that can help them compete, and catch up with other, more digitized industries. The economic imperative to change has finally reached the tipping point. What’s more, the benefits of embracing new technology are clear. They include increased safety, lower costs, and greater efficiency. 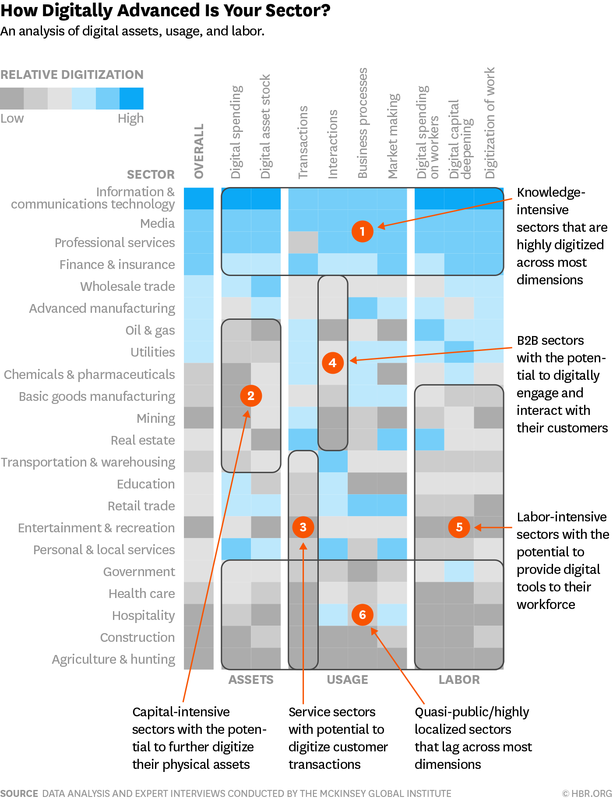 Construction currently ranks among the least digitized industries according to the Harvard Business Review. The rise of mobile devices, cloud computing, and big data has opened up a new frontier for construction. And today the digitization of the job site is well underway. McKinsey cites three main clusters where digitalization is happening: onsite execution, back office integration, and digital collaboration. But the transformation won’t happen without its challenges. For larger companies, identifying and implementing new technology can’t be done overnight. It takes time to make technology purchases, train workers, and integrate new field solutions with the back office. The good news? If construction productivity—lead by technology adoption—can match the total economy, the sector could be looking at $1.6 Trillion in added value worldwide. So there’s a pretty good case for companies to make the investment. Drones are one of the must-have tech tools for monitoring projects of all sizes. 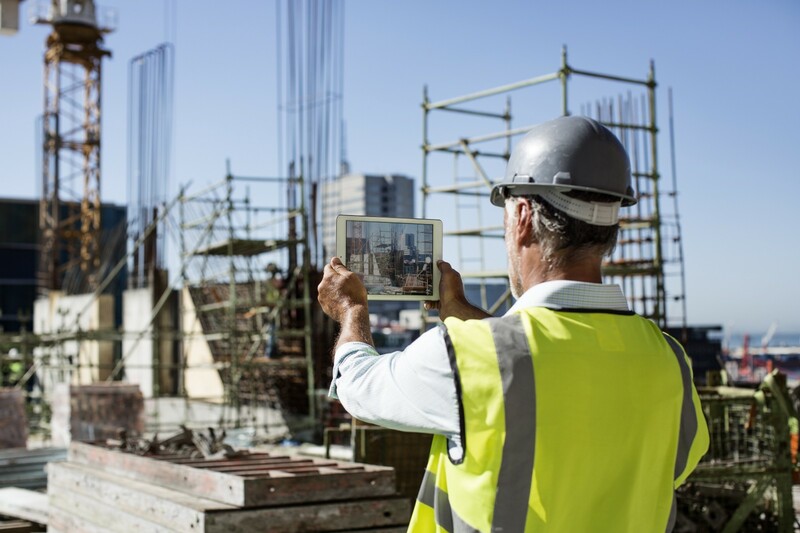 As the race to digitize the built world continues, contractors have begun integrating everything from smartphones and tablets to AI-powered software into their daily workflows. If you’re on the job site every day, you know how software and devices can help builders connect, collaborate, and make smarter decisions — faster, more efficiently and, yes, more cost-effectively. One of the most promising technologies to hit the construction site may even be flying over your head right now. You guessed it: drones. With the costs of drone hardware bottoming in the last few years, and the advent of easy-to-implement software, many companies see ROI the moment the digital bird completes its first flight. 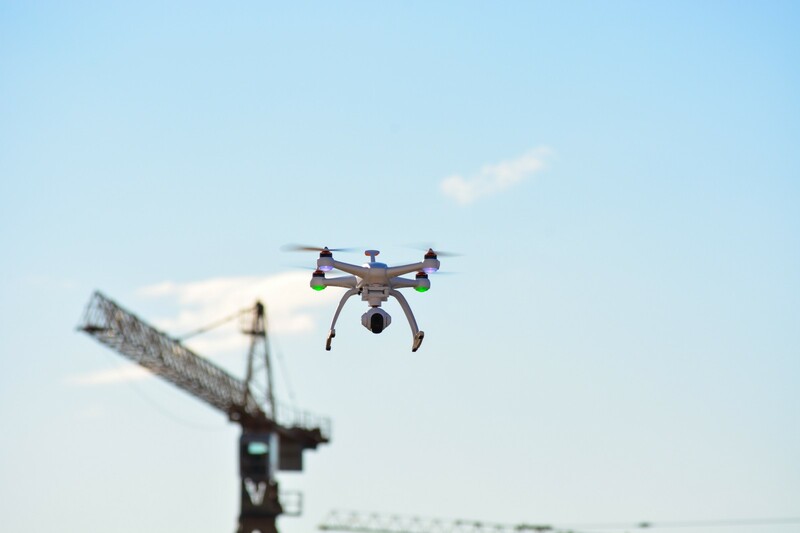 But it’s not just drones that site managers, surveyors, superintendents, and BIM coordinators now use to jumpstart workflows and eliminate friction. 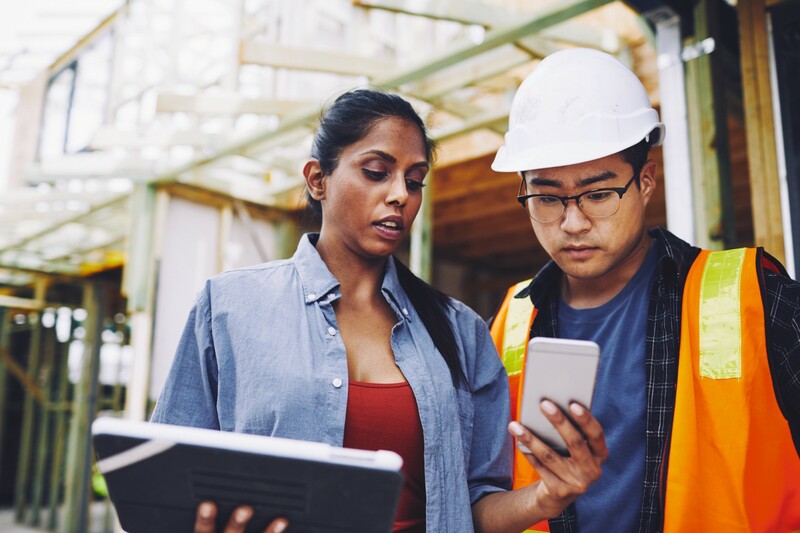 Smartphones and cloud-based apps are also helping transform workforce silos by facilitating better collaboration and efficiency between contractors. These tools also enable teams to move faster, work smarter, and keep clients in the loop every step of the way. And while we’re just beginning to see the results of these technology investments, we expect big things on the horizon for the industry as it sheds its past and emerges in a more productive, digitized form. There are a whole host of integrated tech solutions used on construction sites today. But there is still a long way to go. For example, your mobile device can be used to communicate with key stakeholders, access drawings in the cloud, measure the impact of your decisions, and even fly your drone. As you no doubt have figured out, we think drone technology is mandatory in the modern construction company’s equipment arsenal. But, drones are just one of five important technologies that we think you can’t live without. Read our new eBook, The Connected Job Site, to get a better idea of how technology is reshaping the industry in 2018 and beyond. 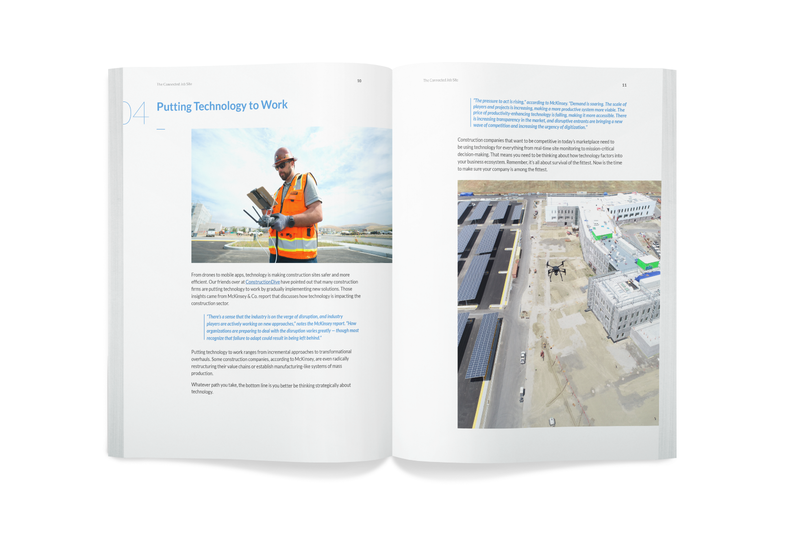 Read our eBook to learn the top five technologies reshaping the future of construction. Construction companies that want to be competitive in today’s marketplace need to be using technology for everything from real-time site monitoring to mission-critical decision-making. That means you need to be thinking about how technology factors into your business ecosystem. Remember, it’s all about survival of the fittest. Now is the time to make sure your company is among the fittest in the industry.